The latest 6th generation Polo will continue a successful lineage that began in 1975 with the Polo mk1, and went on to sell more than 14 million examples across five generations worldwide. At 4.05m long, 1.75m wide and 1.44m high, the new Polo is bigger than its predecessor. This means the car has much more dynamic proportions and a significantly longer silhouette. The wheelbase, exterior length and width have all been extended while the car’s height is almost identical. It’s slightly shorter than the Golf Mk4 but the wheelbase is longer and there’s much more space for the driver, passengers and luggage. The robust shoulders on the wheel arches also enhance the car’s muscular appearance. The infotainment system is higher than before and merges seamlessly with the instrument cluster, so the driver can easily see everything they need. The Polo also comes with new personalisation options for the first time. Customers can opt for a dash pad colour – Energetic Orange or Reef Blue – on the SE and SEL trims. The new Polo comes with the latest Volkswagen MIB infotainment system and an eight-inch composition media touchscreen as standard, which sets it comfortably above the competition in the segment.  Car-Net App Connect is also standard from the SE trim upwards so customers can easily connect smartphones to the car. The new Polo has more standard safety features than its predecessor, including front assist, pedestrian monitoring and city emergency braking. We’ve also added more airbags to the car and it now has a curtain airbag system for front and rear passengers, which is designed to protect the driver's and passengers’ heads in an accident. The new Polo benefits from new technology shared with other models built on the innovative MQB platform. The new Polo will have seven trims: S, SE, beats, SEL, R-Line, GTI and GTI+. Customers will have a choice of six petrol engines ranging from 65PS up to 200PS in the GTI. There are two diesel engines with power outputs of 80PS and 95PS. To find out more about the new Volkswagen Polo, you can enquire online or come and speak to a member of the team at Des Winks.